WE ARE HERE FOR THE HEALTH & WELFARE OF THE PUBLIC! And, at Among King’s Plumbing, we treat you like royalty! 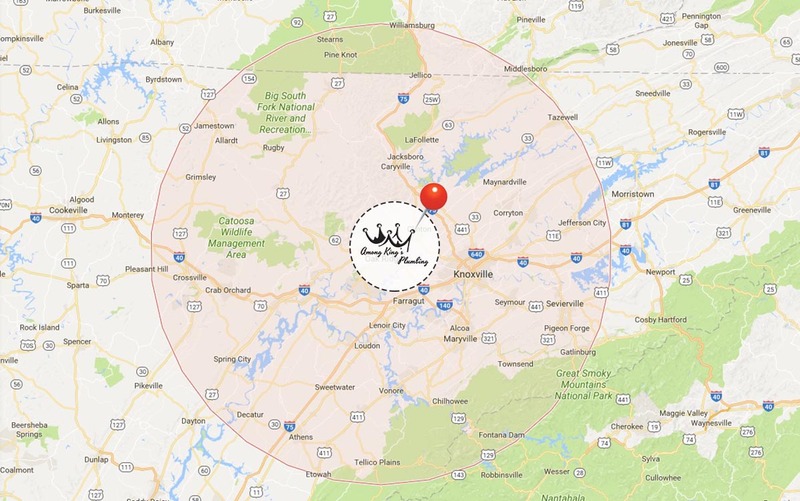 We are based in Knoxville, TN, but we travel all over East Tennessee. They came immediately after one of our pipes busted & was very efficient in the repair. Definitely would recommend!! We highly recommend this business. We needed a plumber and based on their reviews we called. The crew arrived in 15 minutes after our call, as promised. The problem was thoroughly explained and work was done the next day. We will definitely use Among Kings Plumbing again and won’t hesitate to recommend this business to friends and co-workers. Plumbing Emergency? Call (865) 685-0643! Among King’s Plumbing will give you a fair and affordable quote for your plumbing project. Among King’s Plumbing’s team has over 25 years of experience in the plumbing industry. Among King’s Plumbing promises to treat you and your home like royalty.